IN A show of unity Thursday morning, April 12, a somber group of media practitioners converged for the last time at Lualhati Drive to bid farewell to the space that became part of local journalist's everyday life. 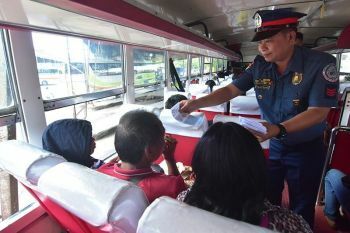 The Philippine Information Agency (PIA) held a thanksgiving with traditional prayers offered by a mambunong at the Dap-ay with employees and media falling silent, offering their personal farewells to an area that had become more than an office. The PIA Cordillera house will leave behind the Dap-ay, a sacred gathering place that has become a favorite venue for meetings for both government and non-government agencies, gatherings for media and place to settle many disputes. Last year, Malacañang ordered PIA to vacate the historic Cordillera house at Lualhati Barangay, as the area will be converted into a cottage for secretaries of the Palace to have easy access to the Mansion House, where meetings will be held. The local media bemoaned the hurried ejectment. The area occupied the house where Fr. Conrado Balweg stayed after the signing of peace accord that paved way for the creation of the Cordillera Administrative Region. 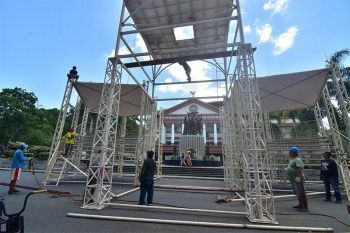 Letters and even an online petition was made as a last ditch effort to the save the space, as well as the 32 Calindra trees to be cut by order of a presidential secretary "to eliminate newly planted trees to give way to the construction of executive secretary cottage across the Mansion House. Oppose building of Executive Secretary Cottage that will entail cutting anew of trees." Even the local council pitched their support for the PIA's continued stay at Lualhati Barangay led by Councilor Arthur Allad-iw through a resolution in support of media group's appeal. 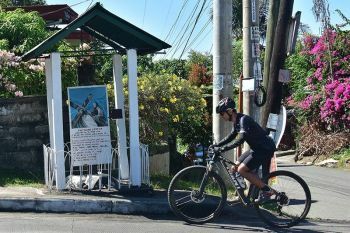 Allad-iw said the PIA Cordillera house, including the Dap-ay, is not only a heritage area, but a historical landmark utilized for activities in the advancement of press freedom. It was in 2005, under President Fidel V. Ramos, with the re-organization of the national line agencies in the Cordillera, when a decision to renovate and make use of the then Lualhati Cottage (which was the cottage for the Minister of Information) to house the offices of the then being re-organized PIA, and also to save from expensive rent, and maximize the use of neglected or empty government buildings. It has since served as the PIA-Cordillera official residence, which also signaled journalists to use the space for trainings, seminars, meetings, caucuses, conferences and assemblies, or get-together's and even weddings.